Jay Corbalis is a South Jersey native and a former policy analyst for New Jersey Future. 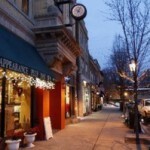 He now works to promote walkable communities at LOCUS: Responsible Real Estate Developers and Investors in Washington, D.C.
At a recent conference in Washington, D.C., experts from a variety of backgrounds extolled the myriad benefits of walking, including everything from improved health to lower greenhouse-gas emissions. But this newfound zeal for our most basic form of transportation glosses over a stark reality: In most of America, walking is a laborious, and perilous, last resort for those who cannot operate, or cannot afford, a car. An article in the Press of Atlantic City highlights this reality when discussing a recent spate of pedestrian fatalities along a popular commercial corridor. Rather than addressing the root causes of this situation, officials essentially blame the victim for what amounts to a public-policy blind spot. Being a pedestrian in South Jersey is tough. 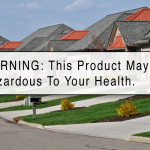 The low-density landscape of strip malls and cul-de-sacs, connected by streets designed solely for cars, makes getting around on foot a dangerous undertaking. As a result, the only walkers tend to be those who are too old, too young, too sick or too poor to drive. 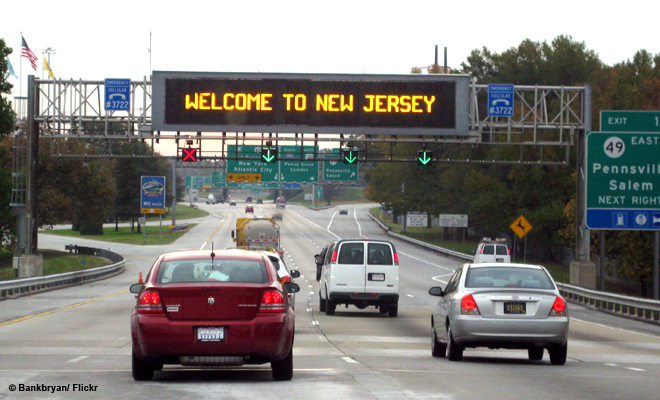 According to the Tri-State Transportation Campaign, there were 139 pedestrians killed in New Jersey in 2011. 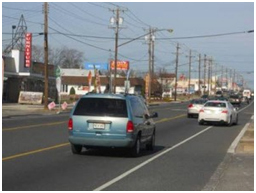 Recently the Press of Atlantic City took a look at pedestrian fatalities along a popular commercial corridor in Vineland. Vineland’s commercial core has long since relocated from its walkable downtown to a highway corridor on the edge of town. This corridor is a major activity center for residents, yet the road, and the businesses along it, were designed solely for cars. Along the 2.3-mile stretch discussed in the article, sidewalks are intermittent, and there are exactly three crosswalks. Two pedestrians have been killed crossing the road since September and six have been killed so far this year. Ignoring the many issues — from traffic enforcement to road design — that affect pedestrian safety, the paper and city officials are quick to point out that the real blame lies with the pedestrians, who, as the writer notes, “are crossing dangerous, two-lane stretches of Route 47 anywhere they want instead of at signaled intersections.” The paper quotes Vineland City Council President Peter Coccaro as saying that pedestrians jaywalking on Route 47 have been an issue, while at the same time admitting there is “actually no legitimate crossing area.” Not to be outdone, Traffic Unit Sergeant Peter D’Arrigo suggests the best way to deal with the problem is to step up jaywalking enforcement. Unfortunately this outlook, appropriately dubbed the windshield perspective by Streetsblog, a website that chronicles livable streets issues, is all too common among the media and policy makers, who often don’t have to deal first-hand with the realities of being a pedestrian. Like the traffic engineers who came before them, they treat pedestrians as an unnatural nuisance in a landscape meant only for cars, to be ticketed or designed out of existence. Not only does this ignore the reality of a place like Vineland, it also perpetuates the problem by enabling future decisions about road design, traffic enforcement and facility siting to be made in a context where pedestrians don’t exist, and thus don’t need to be accounted for. The article states that officials are unsure of what the solution to the problem is. But let’s be clear: It is not to blame the victim. Local officials can take several steps to improve the situation, instead of wringing their hands. In the short term, the city should work with NJDOT, which controls the road, to install more crosswalks and develop incentives and penalties that push property owners to build out sidewalk networks. Rather than ticketing pedestrians, city police should focus on enforcing laws that require motorists to yield to pedestrians in crosswalks and at intersections. And when reporting on issues of pedestrian safety, media outlets would do well to walk a mile, as the saying goes, in the shoes of those who walk so as to understand more completely the conditions they face. 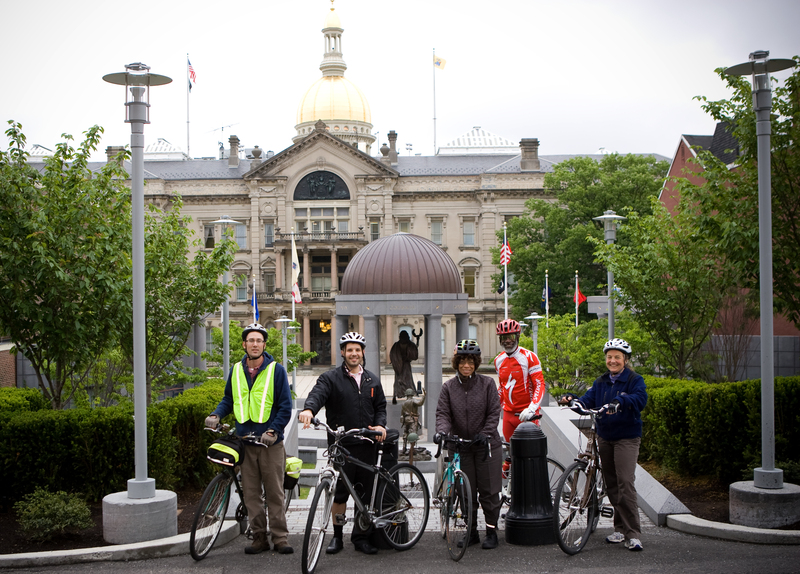 The NJDOT and the City of Vineland both have in place Complete Streets policies to ensure that new roads will be designed with the needs of all users, not just drivers, in mind. This is an important step, but road design itself can only go so far. Towns like Vineland cannot ignore the impact that land-use decision-making has on the pedestrian environment. In the past two decades a large shopping complex, a regional mall and the county’s community college campus have all opened in Vineland. These are major activity centers in the community, yet none is pedestrian-accessible. Meanwhile, Vineland’s walkable downtown struggles to attract both customers and new business. Whether by necessity or choice, many Americans rely on walking as a means of transportation, and their numbers are likely to grow in the years to come. 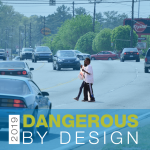 Yet in Vineland, and communities like it all over the country, many roads weren’t designed with walkers in mind, and as a result hundreds of pedestrians are killed by cars each year. In addition to short-term improvements, the long-term answer is to ensure new and redeveloped communities are designed with the needs of all users in mind. In the meantime, blaming the victim only makes things worse.